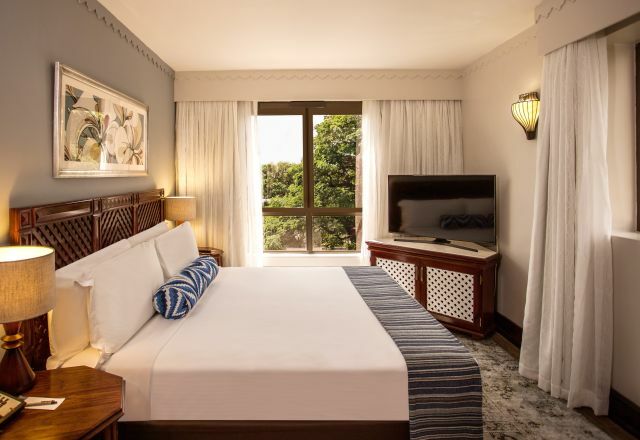 Quiet, comfortable accommodation in Dar es Salaam with classic styling and modern amenities designed for a stay in the city that can be as productive or do-nothing relaxing as you want it to be. 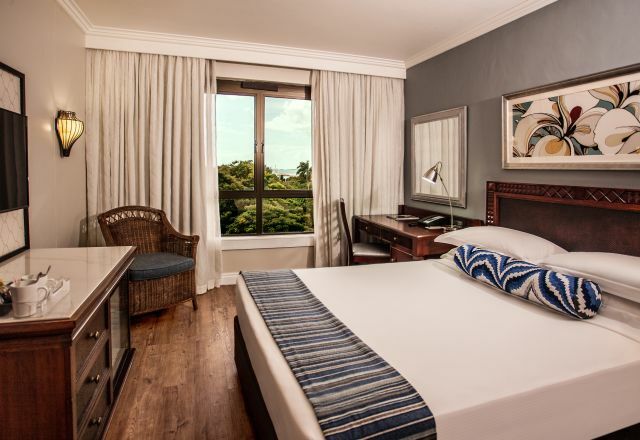 Every room features a large comfortable bed, views overlooking the historic Botanical Gardens or the city, as well as blackout curtains and air-conditioning for a great night’s sleep. Business-ready amenities include a workspace in every room, as well as high-speed WiFi to keep you connected. At-home comforts and extras that are perfect for safari-stopovers or business-breaks in the city include 24-hour room service, a bath and shower in a modern en-suite bathroom, satellite flat-screen TV and a mini-bar. Whether you choose a Standard Queen bed, the sharing-convenience of our twin double bed family rooms or the King size comfort in our Suites and Executive rooms, the linen is fresh, the bed is comfy and there’s a choice of pillows. Relaxing in our Executive Rooms is even easier with a small open-plan lounge area and a bath hidden behind sliding-shutters for an open-plan studio feel. The hotel’s two Suites are perfect for extended stays and feature exclusive amenities, executive work desk, spacious room proportions, locally inspired décor, a separate lounge, guest toilet, and comfortable corners for reading and relaxing or getting meeting prepared. A number of interleading rooms make it easier for group travel and families, while an accessible room provides extra amenities and adapted furniture for wheelchair users. Understated, simple comfort, for you to rest, relax and plan whatever’s next whether it’s a big meeting at the JNICC or meeting the big five in the Serengeti. That feeling of home is more than just a comfortable bed and good nights sleep. If you have any special requirements, whether it’s a taste of home you don’t see on the room-service menu, or a forgotten toothbrush, let us know and we’ll do our best to accommodate you wherever possible. Standard rooms have an en-suite bathroom with bath and shower, as well as scenic views. 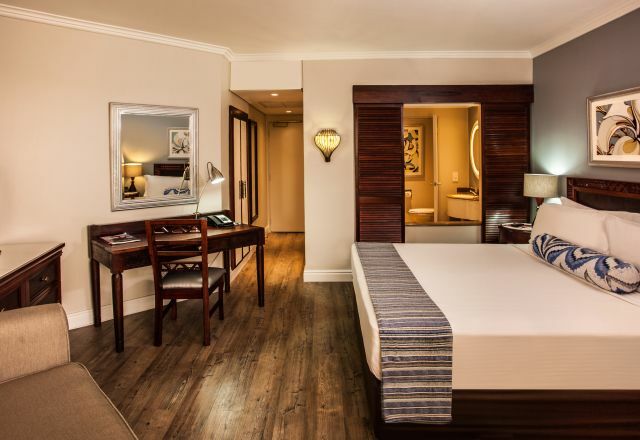 Extra space and even more amenities set our Suites apart. Suites have a lounge area, work station and en-suite bathrooms with scenic shower.